Personal Fishing Line Container - Stow It, Don't Throw It! What is the Problem with Fishing Line? Used fishing line is often left behind on piers and beaches, or lost off of boats. Fishing line is not biodegradable and when left in the environment can cause real harm to animals, entangling and causing injury. Fishing line is a safety issue due to the risk of damaging boat propellers, and a serious problem around boat ramps and fishing areas. Learn more about The Problem with Marine Debris. How can you and your school or youth group make a difference? People of all ages can do something to help prevent this problem, whether they fish or not. 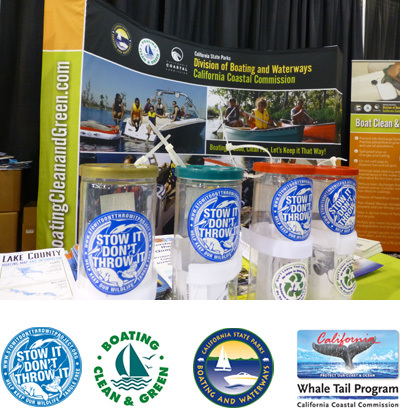 Constructing and distributing simple, portable fishing line containers can help people keep hold of their monofilament fishing line until they get to a recycling collection site or a secure trash can. Constructing these containers is a great project for classrooms, environmental clubs, scout troops, and community groups of all kinds.